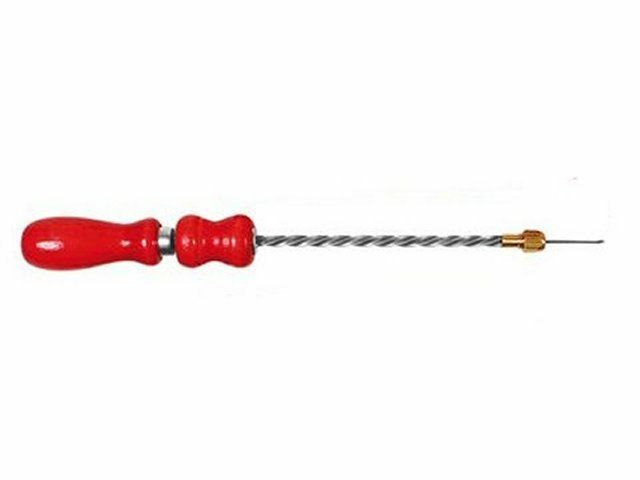 this precision hand drill with a chuck size of 0-1.2mm is a valuable tool for the box. 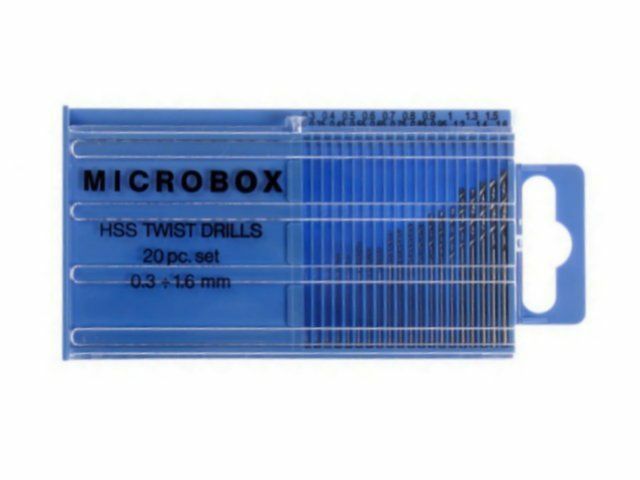 20 HSS Metric Drills 0.3-1.6mm in a convenient slide top box. 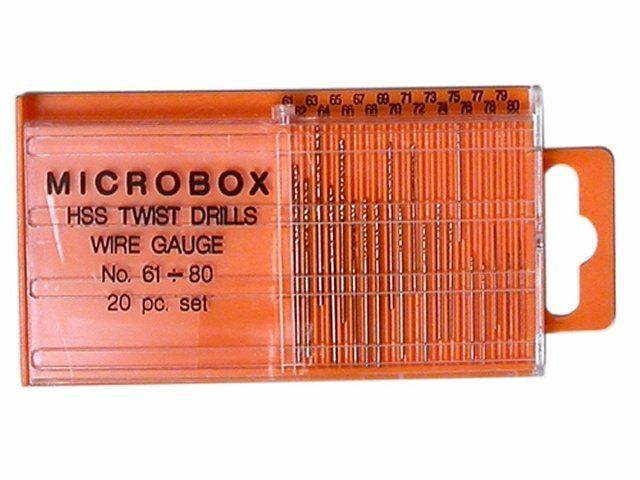 20 Fine Wire Gauge Twist Drills HSS Size 61-80 in a convenient slide top box. 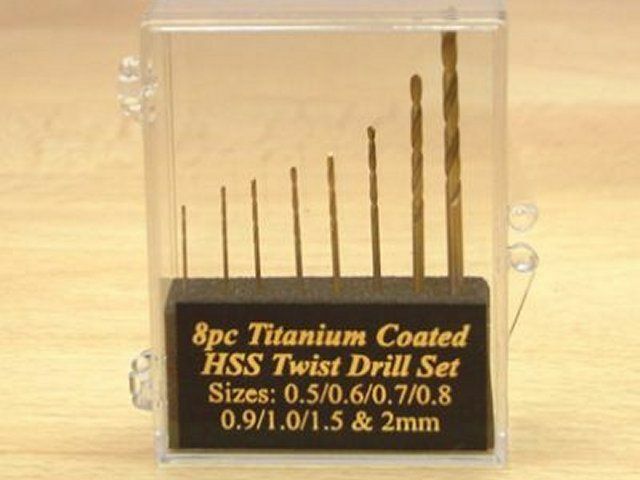 Set of five 0.3mm drill bits to be used with either the Archimedian hand drill or an electric equivalent. 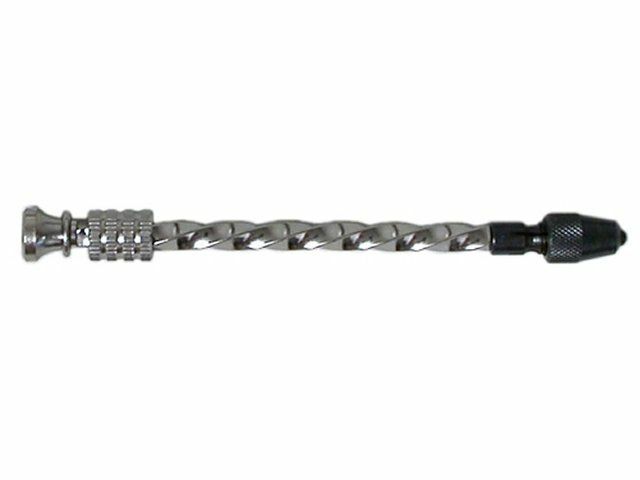 Set of five 0.4mm drill bits to be used with either the Archimedian hand drill or an electric equivalent. 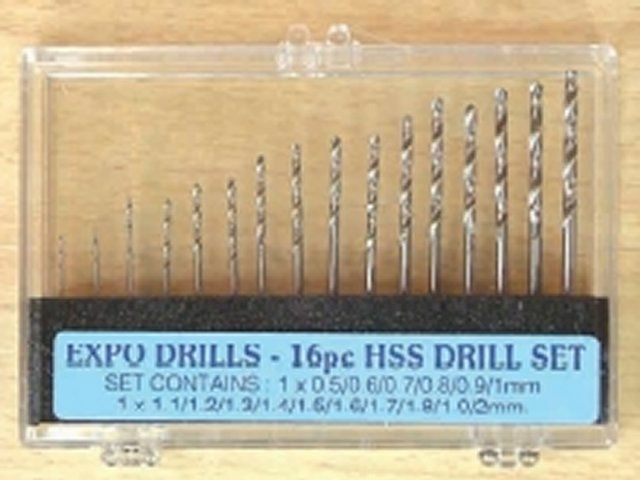 Set of five 0.5mm drill bits to be used with either the Archimedian hand drill or an electric equivalent. 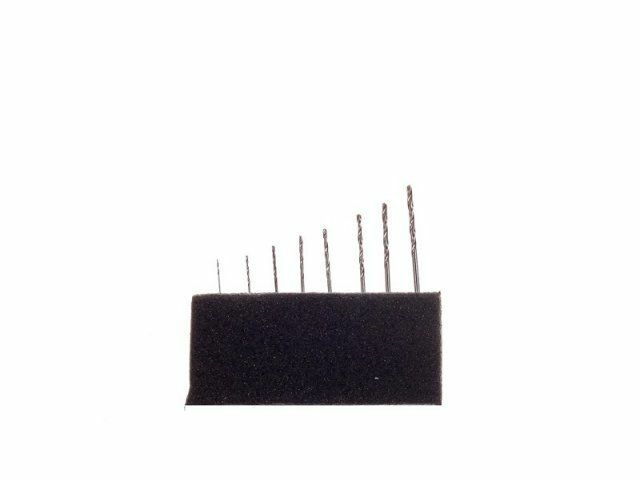 Set of five 0.6mm drill bits to be used with either the Archimedian hand drill or an electric equivalent. 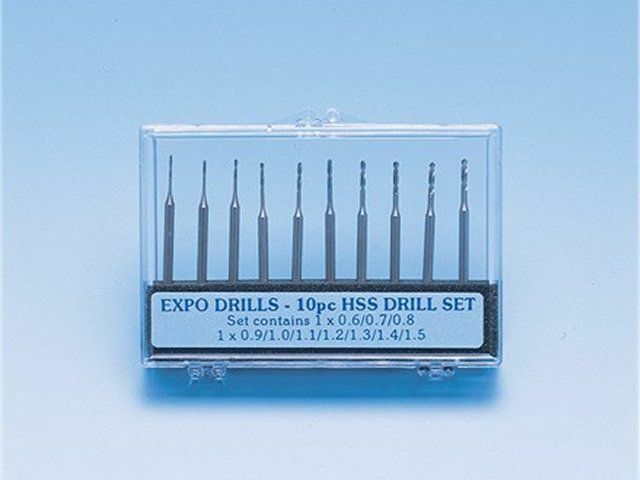 Set of five 0.7mm drill bits to be used with either the Archimedian hand drill or an electric equivalent. 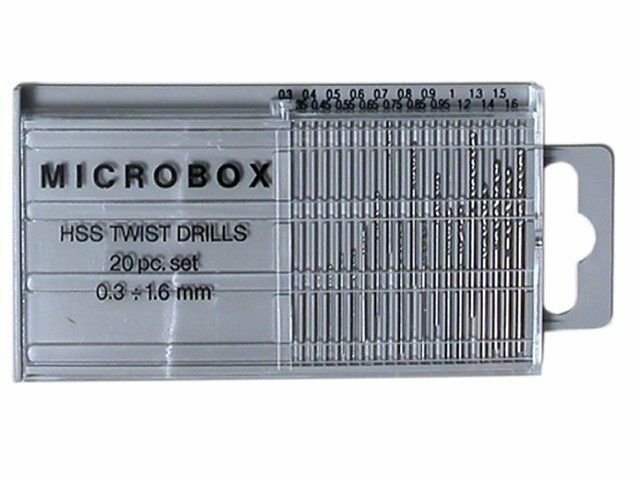 Set of five 0.8mm drill bits to be used with either the Archimedian hand drill or an electric equivalent. 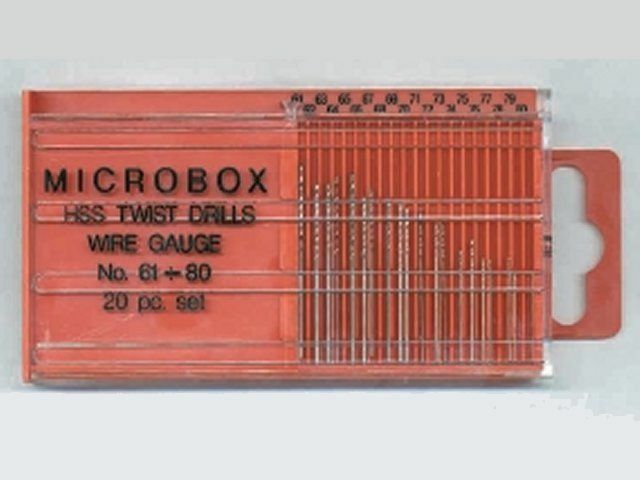 Set of five 0.9mm drill bits to be used with either the Archimedian hand drill or an electric equivalent. 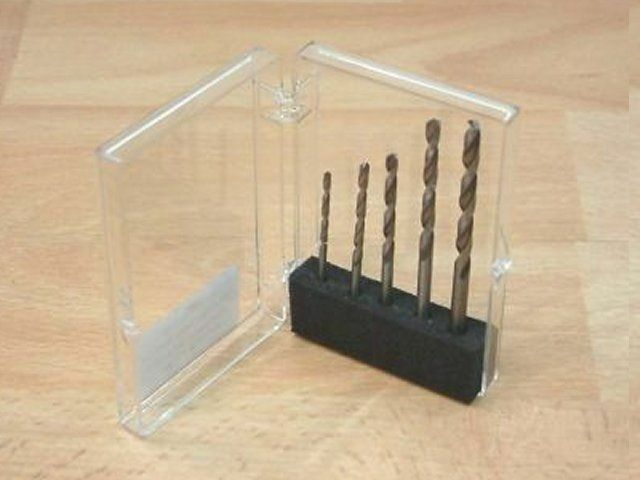 Set of five 1mm drill bits to be used with either the Archimedian hand drill or an electric equivalent. 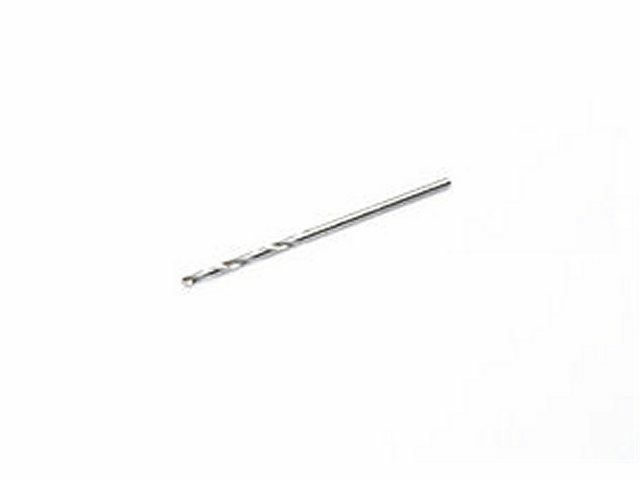 Set of five 1.2mm drill bits to be used with either the Archimedian hand drill or an electric equivalent. 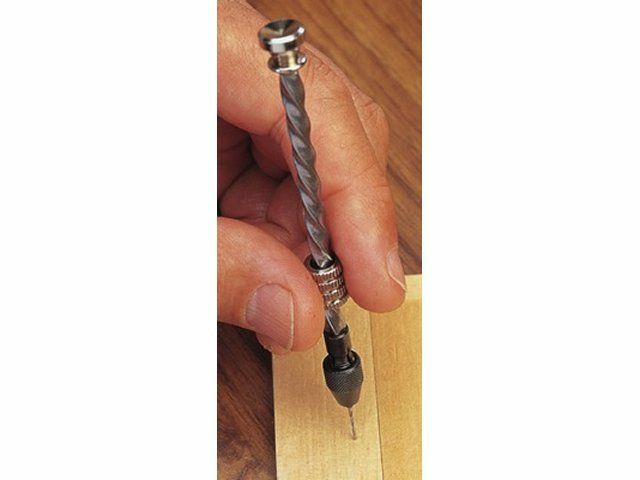 Set of five 1.5mm drill bits to be used with either the Archimedian hand drill or an electric equivalent. 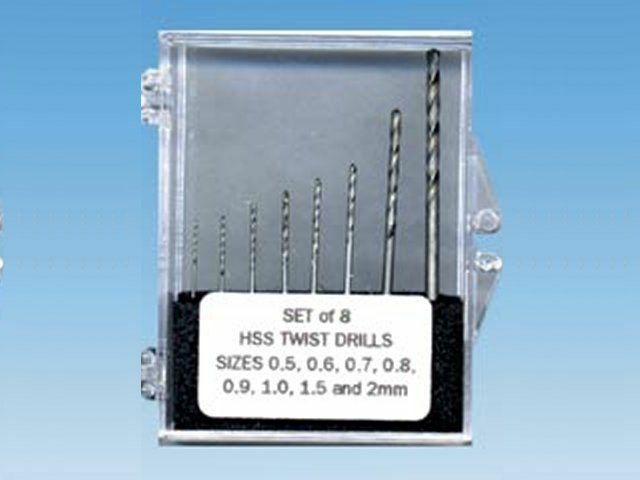 Set of five 1.8mm drill bits to be used with either the Archimedian hand drill or an electric equivalent. 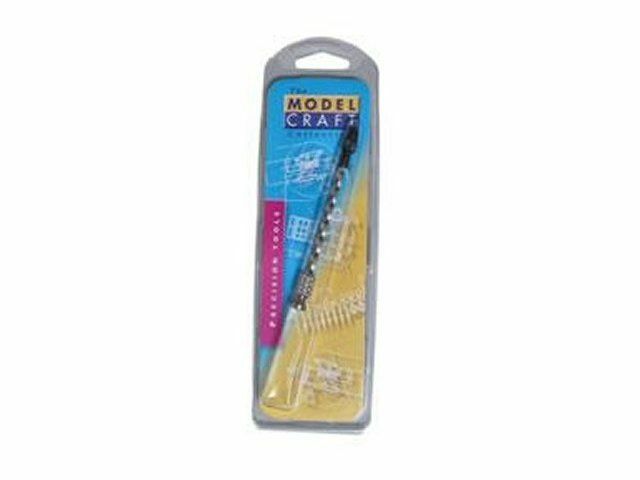 Set of five 2mm drill bits to be used with either the Archimedian hand drill or an electric equivalent.